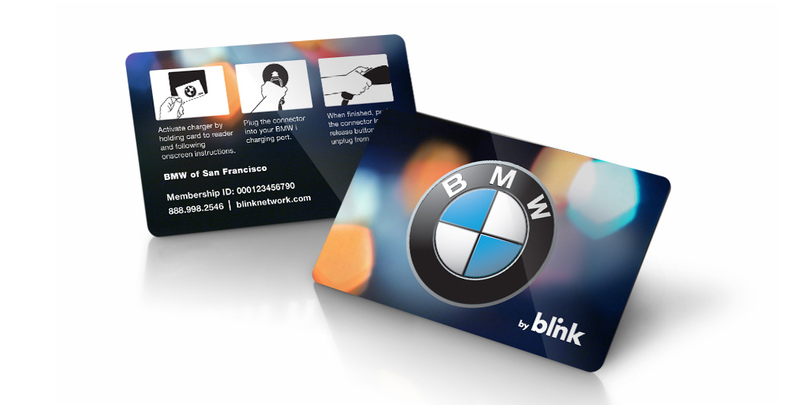 We designed custom graphics to be utilized by BMW as wraps on Blink electric vehicle chargers and on RFID access cards. This project was an engagement between ECOtality, BMW, and Tornado in late 2012. The objective was to introduce branded graphics for the BMWi program (line of BMW electric vehicles). Our team also created custom collateral such as quick start guides, reference manuals, and screen designs.